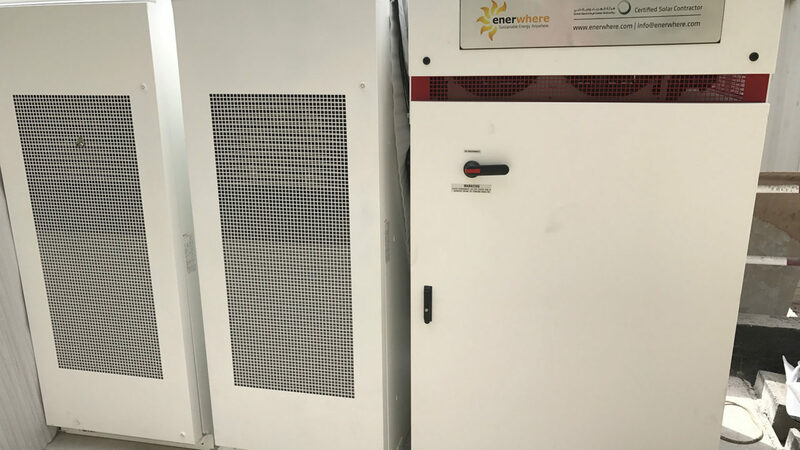 Dubai – Enerwhere recently completed the installation of a solar hybrid generator system for Multiplex’ site offices at ICD Brookfield Place in the Dubai International Financial Centre. A first in the Middle East, the power system uses a combination of solar PV panels, batteries and generators running on biodiesel produced by Dubai-based Neutral Fuels. This is Enerwhere’s second installation for Multiplex in the UAE. Enerwhere provides this solution on a lease basis, requiring no upfront investment by Multiplex.The site office uses power generated from 40 kWp of solar panels installed on the roof during daytime and switches to the site’s 100 kW / 200 kWh battery system at night. If there is not enough power available from solar and battery, the site’s diesel generators will run on biodiesel as a backup. The solar PV, battery and diesel generator systems are fully synchronized, so both can provide power at the same time when required. The hybrid system reduces the diesel fuel consumption and carbon footprint of the site by around 27%, saving over 800 tons of carbon every year, while reducing the cost and increasing the reliability of site operations. The success of this project has allowed Enerwhere to begin rolling out this technology with Multiplex and other clients in the UAE. 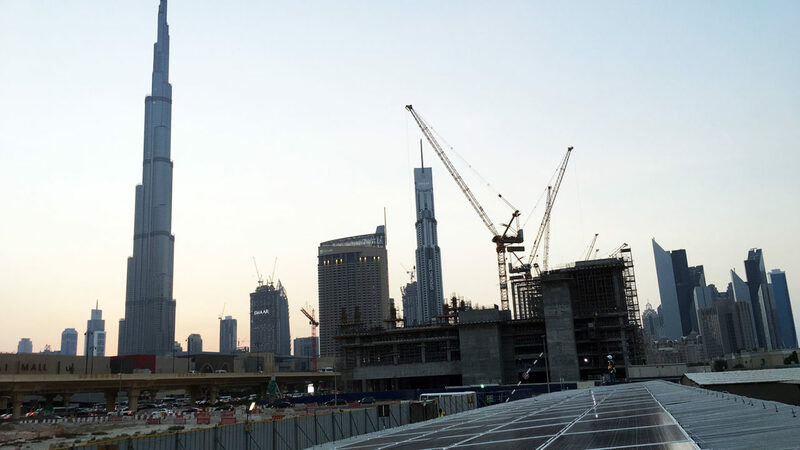 These construction companies can now all look forward to a cleaner more profitable future.